A small city in Alaska is buried so deep in snow that local leaders are scrambling to find enough snow shovels to clear out the mountains of white stuff. Sounds like the punch line of a joke — Alaska? Snow shovel shortages? 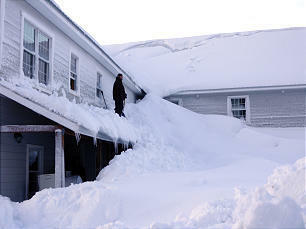 But the coastal community of Cordova is indeed dealing with an unprecedented period of perpetual snowfall. Members from the Cordova Branch of the Soldatna Alaska Stake say they're trying to make the best out of an exasperating winter.